Ben Mason is Director of Sport at Durham School, which is now in its second year of working with Cricket Beyond Boundaries to host young orphaned Indian cricketers. 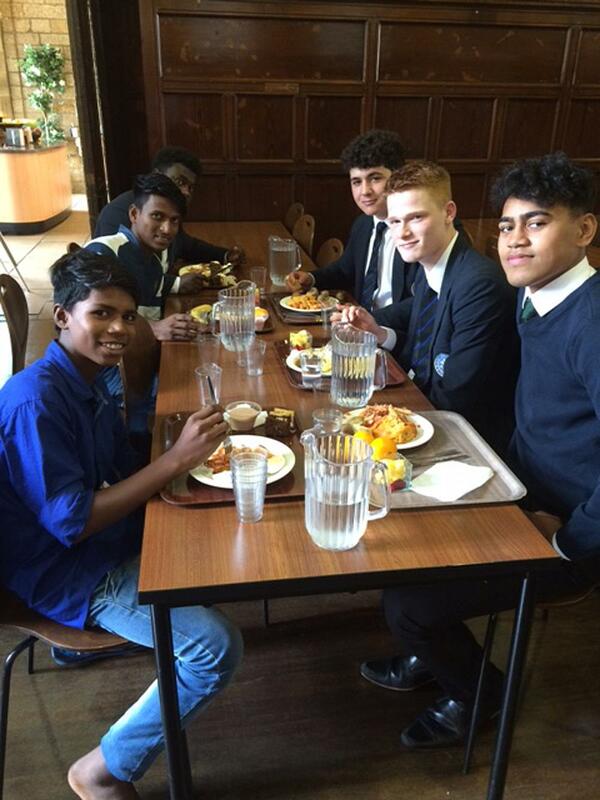 The school celebrated its 600th anniversary in 2015, when they welcomed Rupesh Borade for four weeks. 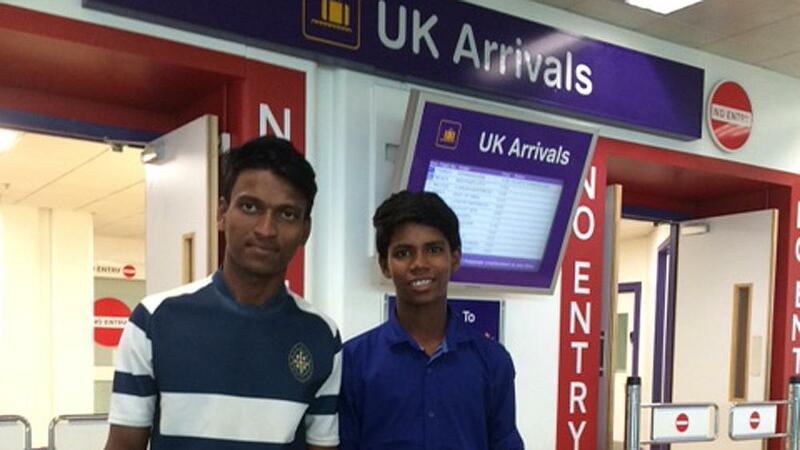 This year, Rupesh returned for another stay along with Prajwal Pansare, a younger boy. Here, Ben updates us with how they have got on this year and plans for the future of the programme, which continues to be a hugely positive experience for all concerned. Rupesh has really developed from last year and this has been noticed by Mike. Firstly his English is a lot better but then he’s a really good coach with the young kids so he’s been doing a lot of stuff with our prep school and our five, six and seven-year-olds and he’s been absolutely outstanding. All the lads at the prep school love him to bits and really enjoy it when he’s helping coach them. It’s brought different things this time but Rupesh having been over before has really helped Prajwal. Prajwal is 14 and he’s been playing a complete mixture with our Under 14s, our Under 15s, our second team and he’s even played a couple of first team games so they’ve both been getting on really well. 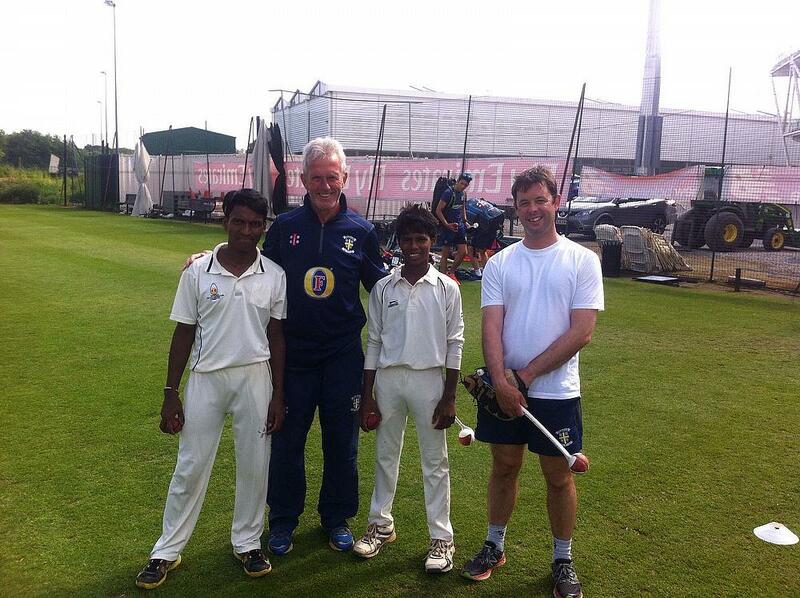 Mike Fishwick, our Head of Cricket, took both of them down to Durham County Cricket Club where they had a one-on-one session with Geoff Cook and academy director Jonny Windows and Geoff Cook seems to think that Prajwal is the best 14-year-old batsman he’s ever seen! After Rupesh was taught how to ride a bike by the boys last year, I’m not sure if they’ve tried this year but both of them love the swimming pool and every day they are keen as mustard to get into the swimming pool. Recently, we were walking down from the office and one of our Fijian boys who has been involved in England’s U16 rugby programme and is a phenomenal rugby player was walking arm in arm with Rupesh and they were having a bit of a chat. I don’t think either of them knew anything about what the other one was saying but they seemed to be finding it very entertaining and enjoyable! It’s great how within the space of a couple of weeks these lads can merge into the school atmosphere and become one of the lads within the school even though there are so many differences between them. Talking about Prajwal in particular, as a kid he’s the biggest smile you’ve ever seen and he’s basically walked round Durham these last three weeks with a massive smile on his face. He’s a really nice kid. Having an English teacher in the orphanage over the last year has been a huge benefit and it is really evident that Rupesh’s English is miles better and we did the same again this year with the English as a Foreign Language teacher working with them for the first few hours of the day. They took them into Durham and got them buying things from the shop, asking for change and things like this, trying to make it as lifelike as possible. It’s been good from the school’s point of view as we’ve really started to understand and work out a programme that will benefit the lads when they go home so even this year we’ve learnt a few things that we are going to do next year. The headmaster is very keen to keep the programme going and we are potentially looking at having them for a full term next year, so Prajwal will come back with another boy. That might well be the ideal model for us, that the younger boy from the previous year will come back and bring another young boy with him. Mike has about seven of our first team cricketers who are going to go out to India next February and they are going to play in Mumbai, train with the guys there, go into the orphanage and help out with some things so it’s going to be a great opportunity. The programme is just getting better and better and we’ve actually got quite a few schools interested as well in doing the same as what we have done so it might be that even more of the boys can benefit from it next year. Loads of people have really warmed to them this year and it’s a great programme and hopefully as far as the school is concerned hopefully we can be involved as long as we can and progress it from strength to strength. Ultimately we’re speaking to Cricket Beyond Boundaries founder Dr Samir Pathak about future plans and we hope to be able to sponsor somebody through the school, right from the start with a view to getting some decent academic qualifications and then potentially moving on to a UK university. From Sahil Kukreja’s perspective, who is obviously out in Mumbai, it gives the other kids in the orphanage inspiration as to what the future could possibly hold for them and the opportunities if they continue to work hard. At the end of the day we are still sending these boys back to Mumbai at the end of two or three months and that’s the question – how much value is that actually giving them? If we can put somebody through a full term through a school from the age of 11 or 12 upwards and they can gain academic results, A-levels and then access a UK university and then ultimately go back to Mumbai with some qualifications and experience that is going to affect India on a greater scale, then that’s the ultimate target. The steps we are taking are moving us towards that target. The trip in February when the boys from Durham go out to the orphanage will develop a very deep and ongoing connection between the school and the orphanage. It won’t just be the two or three cricketers who visit each year that benefit, as both communities will gain from each other. And as Sahil says, the stories of the boys who go on these trips inspire the other kids at the home and make them work harder.